I left Hayward, WI 67 days ago on November 11th to travel to 7 different training/racing venues and compete in 7 races. Today I flew back to the Midwest and tomorrow I am headed home to unpack my bags and recharge for a few days. Minneapolis has more snow than I have ever seen here and I am looking forward to skiing in the Midwest for a few weeks. 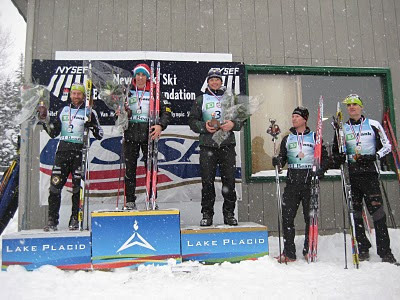 Originally I planned to fly back to the Midwest after US Nationals in Maine, however the Super Tour series was headed to Lake Placid along with a good portion of the skiers headed to World Championships. I didn't want to miss it. Each fall I have traveled to Lake Placid with my teammates for our hardest training camp of the year. It was fun to see snow on the ground and check out the ski trails from the 1980 Olympics. 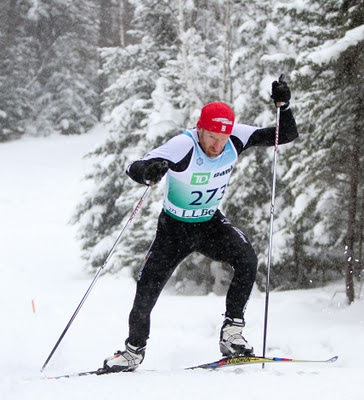 Although I have been ski racing a long time it is still very exciting for me to experience a new venue, plus I love to race.